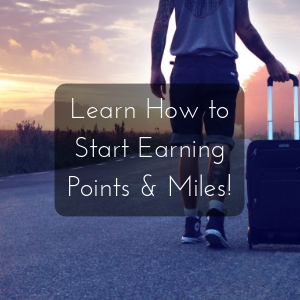 You should feel accomplished after you start earning miles & points. After that, there are few things better than using them. Using your miles and points can be easy, but how do you know if you’re getting a good deal and getting the most out of them? That piece of the puzzle is more difficult than earning (and using) the points. Don’t worry! While it’s not always an easy question to answer, it is possible to figure it out. Points and miles are essentially a digital currency – and I’m not talking BitCoin either! They have a distinct and somewhat stable value, but different points have different values. For example, Hilton points are worth less than Hyatt or Marriott points. Just remember that, but this post won’t get into the value of the points in each program. Values change and it is important to pay attention to changes in loyal programs. Generally speaking, there are two kinds of points: fixed value points and non-fixed (dynamic) value points. All points you earn will fall into one of these categories. Fixed value points are typically points from credit cards that don’t earn airline miles or hotel points. Credit card points are typically worth one cent per point. That means that if a flight is $250, then you’ll need 25,000 points to redeem for that flight. Some credit card programs allow you to use points and cash, in case you don’t have enough points or don’t want to spend them. Because these points have a fixed value, to get the most out of them, it really just depends on if you would rather spend the money or the points. In my opinion, fixed value points should be used for redemptions up to about $500. Above that, you’re likely to get more value out of dynamic value points, if you have them. 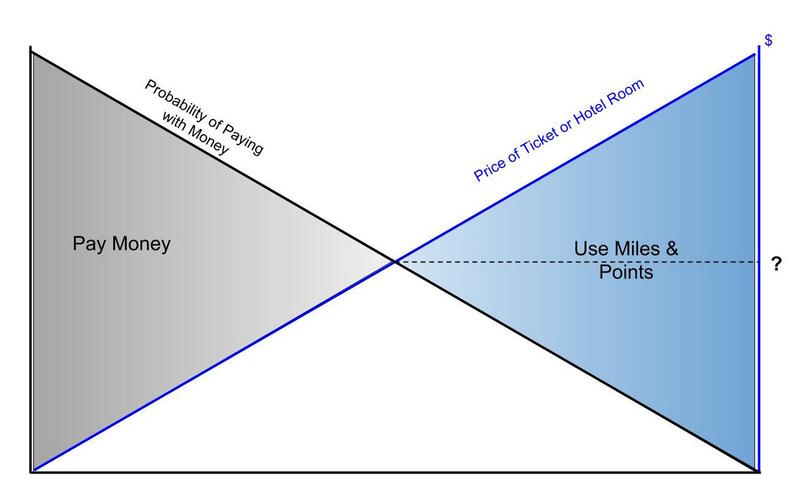 Typically, dynamic value points are hotel points and airline miles. Redeeming these points/miles is a flat rate for a redemption that doesn’t have a flat value. For example, a one-way domestic flight is typically around 12,500 miles, but as we all know there is a very wide range of prices for domestic air fare. Thus, the value of the miles depend on what the cost would have been using cash. As you can tell, this where things get tricky, but where points and miles can have tremendous value. Stay with me and you’ll understand where points and miles can have tremendous value. The key to attaching a value to your points is the concept of cents per mile/point. This is basically price divided by number of points. Let’s take a hypothetical business class flight that is $3,000, but you can use 50,000 points for the flight. 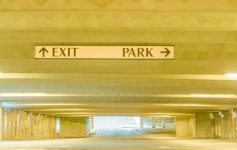 You would be getting 6 cents per mile – much more than the 1-1.5 cents per (fixed value) point! $3,000 divided by 50,000 is 0.06 (or 6 cents). I have, honestly, over-simplified that. 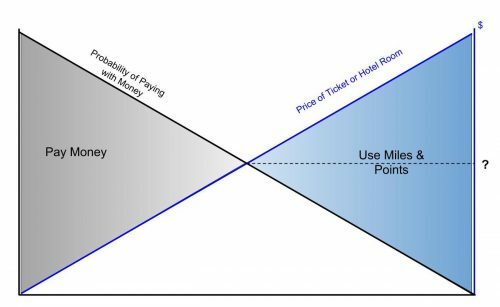 There may be taxes (and/or resort fees if it were a hotel stay) that you still have to pay when using points and miles, but even if that comes out to $500 for the hypothetical flight above, you’re still getting 5 cents per point. To more accurately calculate the value, take the price of the flight or hotel room minus what you’d still have to pay in cash, then divide that amount by the number of miles or points required. 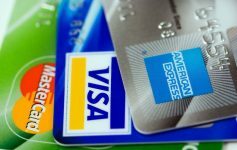 Chase, AmEx, and Citi all offer credit cards where you can transfer points to certain hotels or airlines. When the points are with the credit card program, you can redeem them for up to 1.5 cents per points. However, if you transfer the points, then they convert from having a fixed value to having a dynamic value. You cannot transfer them back, so make sure you have a use for them before you transfer. To figure out if converting them is a good deal, then compare the value you’re getting if you transfer them to the fixed value. 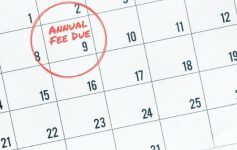 Aside from paying taxes and other fees, the cost of the ticket isn’t what you’re valuing it at. The value of something (anything, not just travel) is what you are willing to pay for it. Would you pay $6,000 for that business class ticket? Obviously not, otherwise you would just pay for it! But what if it were $4,000 or $3,000? Determine what you would pay, then figure out the value based on that. At what price would it make more sense to use miles or points instead of using money? The redemptions that maximize the value of your points may not be what you want. If it’s not what you want, then it’s not the right redemption and the value of it (for you) is zero. The best redemption the one that YOU want – even if it’s a 30 minute flight from Las Vegas to Phoenix. It doesn’t matter – you’re using your points and miles in the manner you want to. If you never use them, then what’s the point of earning them?! I know this is a topic that isn’t always easy to grasp nor can it be explained succinctly. So please don’t hesitate to reach out and ask for clarification. I’m more than happy to help. Reach out to me with your question on any of my social media channels or leave a comment below. Next Article Is Basic Economy Worth it? This is a great list of tips. I need to get my act together with points and miles as I always forget to give my card numbers! Thank you for joining Fly Away Friday! Hope to see you tomorrow.